With training in human resource management and international business, Amanda Langtry brings extensive expertise and leadership skills to her role as an Event Manager. Amanda has significant experience in managing complex logistics for major national events, including working with committee members across Canada, shipping materials, coordinating speakers and delegates, and working closely with host venues. She has experience in managing international events, with a recent project that had 25 countries represented. 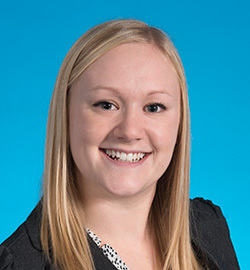 Amanda is a graduate of the Asper School of Business at the University of Manitoba with a double major in human resource management and international business. When a client turns to us to manage an event, we listen deeply and then respond with expertise, precision, and exceptional ideas. It’s a privilege to work with visionary clients who see signature events as a means to inspire stakeholders.